Home » Uncategorized » BOND PRIMER: What is an inverted yield curve and what does it mean? This is a simple explanation of an inverted yield curve along with a few basic definitions of US treasury securities — bills, notes and bonds. I am posting it in anticipation of an article this week in which the Fed surprisingly admits it is solely responsible for creating recessions. It is for the sake of any readers who need a quick reference on some basic bond terms when they are reading that article so that those who don’t need the basics don’t have to plow through them in that article. Maturity: Maturity refers to how many months or years it will be until the government redeems a treasury at its face value. On that date, the government pays back the full face value of the treasury. Treasury bills: Bills are defined as being a US Treasury security that is less than two years to maturity. Treasury notes: Notes are treasuries that range from 2-10 years to maturity. Treasury bonds: Bonds are treasuries that range from 20-30 years to maturity. Yield: See the article referenced above for a more accurate explanation, but for our purpose here, “yield” is the annual percentage return the treasury holder can expect on his or her money. Before we get to an inverted yield curve, what is a normal yield curve? First, a quick definition of the treasury “yield curve.” It simply refers to a graph of interest rates on treasuries of different durations until maturity. Why should long-term treasuries pay more interest than short-term treasuries? This can be answered with another question (which is not to be coy): If someone wanted to tie up your money for ten years so you could do nothing with it, would you want a higher annual interest rate or less than if they only wanted to tie it up for three months? Normally short-term treasuries like the 3-month US Treasury bill pay a lower yield than long-term treasuries like the 10-year US note or the 30-year US bond because most investors naturally expect a better interest rate if they are going to lock their money up for a longer term. It’s the same reason a 30-year mortgage charges a higher interest rate than a 15-year mortgage. If the shorter 2-year note starts paying more interest than a longer-term treasury that’s an abnormality that indicates investors now believe the economy will perform worse in the short term than further out. They know believe that, if they buy the short-term note, they will have to roll their money over in two years when the note matures to something that will offer even lower interest because they believe the economy will be sinking and the Federal Reserve will be manipulating interest rates downward. Investors have no idea what will be happening twenty years from now; so, if the times look good right now, they are certain they can make good money by investing their money in the many options provided in the current economy. Further out, means less certainty, so more risk. Thus, when investors are confident in the short-term outlook for the economy, they don’t want to tie their money up for the long term; so they shy away from long-term treasuries that lock them out of immediate good opportunities. 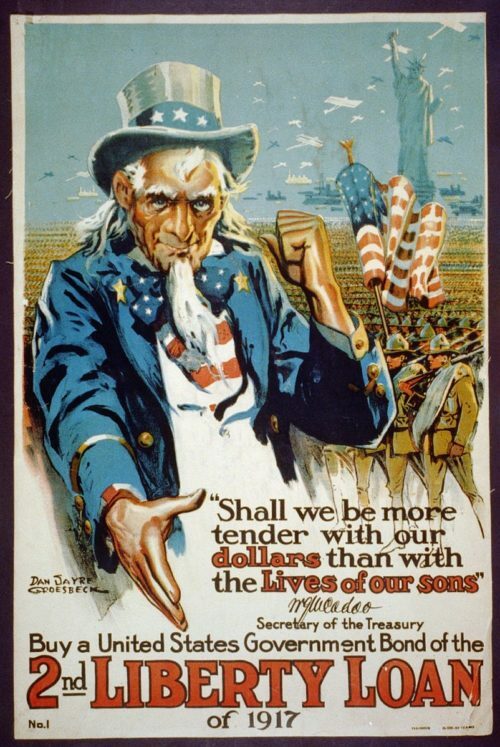 That drives the interest rate of long-term treasuries up considerably in order to entice investors to take them now. That results in a normal yield curve. You can see in the graph above, made near the end of 2017, that as one graphed yields for treasuries later and later into the year, the curve from the short-term end to the long-term end got flatter and flatter as the overall interest rate was rising. This is referred to as a flattening yield curve. It is a transition that happens as investors are becoming less confident about the economy. That a flat yield-curve environment is somewhat of an anomaly can be seen in mortgage rates. Because mortgage rates tend to track with the yield curve, a flat yield curve would result in so little difference in the interest rate between a 30-year mortgage and a 15-year mortgage that it would make more sense for you to take out a 30-year mortgage when buying a house even if you could easily afford the payments on a 15-year mortgage and then invest the difference in your monthly payments each month into your retirement account or some other investment. With a flat yield curve, you’d be paying almost nothing extra to get those smaller monthly payments; so, might as well do that an invest the amount you save each month. That is why the whole economy starts to tighten up as the yield curve flattens. Just as it makes more sense for you to take out a 30-year loan over a 15-year loan in that kind of environment, it makes less sense for a bank to offer a 30-year loan than a 15-year loan. They are not going to make much more on their money for doubling the amount of time that it remains at risk, so they, too, are better off not making long-term loans and investing in other things, such as those shorter-term treasury notes that have risen in yield. They also tend to loan only to low-risk customers when long-term rates are so low by comparison to shorter-term risks. With an inverted yield curve, the graph goes beyond flattening until it actually curves the opposite way so that interest rates on the left side (shorter-term in maturity) graph out higher than interest rates on the right side. This is a gross anomaly, which is why it almost always precedes a recession. You can see a clear, clean yield curve in the graph of treasury rates when they were plotted out at the start of 2018 (blue line). Then you can see how by the end of 2018 (gold line), an inverted yield curve started to form by first flattening out at the low end. That’s because shorter-term treasuries kept rising in yield that year faster than longer-term yields until they were nearly as high as as longer-term treasuries. The first point of yield-curve inversion happened between the 2-year note and the 5-year. You can see the 2-year became slightly higher in yield than the 5-year but still remained lower than longer-term treasuries. So, that one segment of the graph, which would be called “2s over 5s” represents the start of inversion. When the yield curve inverts, you could conceivably actually make money by borrowing long term and investing short term. The government, for example, could issue 5-year notes in order to buy back all of its outstanding 2-year notes and save money. One might say in that situation, the longer you borrow, the more you make. This odd situation happens because the Federal Reserve’s change to its interest target in the Fed rate as it tries to push up interest rates in order to tighten down on an expanding economy (to curb inflation) has more impact at the short-term end of financial markets than at the long-term end. So, it is the Federal Reserve that is creating the distortion away from normal reality with its manipulation of interest rates. 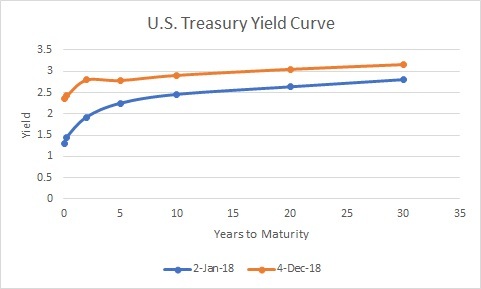 If this process continues long enough, the entire line will actually reverse its curve to where each shorter-term treasury plots higher in yield than all those to the right of it on the graph. That is an inverted yield curve, and it means the Fed has manipulated interest rates in the open market until the full range of yields on the lowest-paying (most secure) investments in the world (US treasuries) stands on its head. Please let me know in the comments if some aspects of this could have been expressed more accurately, while remaining equally simple, and I’ll make the adjustments.